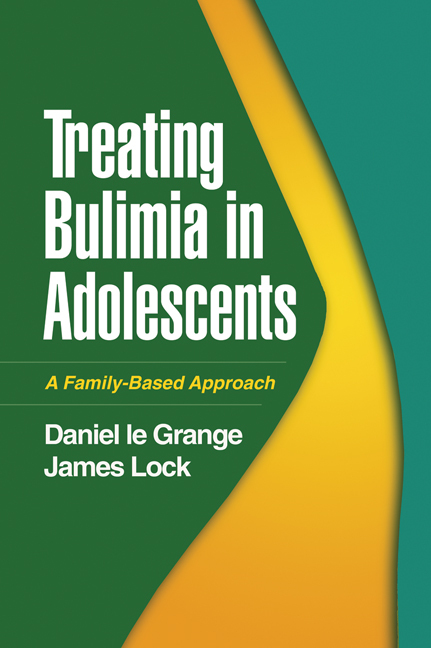 An indispensable clinical resource, this groundbreaking book is the first treatment manual to focus specifically on adolescent bulimia nervosa. The authors draw on their proven approach to treating anorexia nervosa in the family context and adapt it to the unique needs of this related yet distinct clinical population. Evidence-based strategies are presented for helping the whole family collaborate to bring dysfunctional eating behaviors under control, while also addressing co-occurring psychological problems and parent–child relationship conflicts. Highly practical, the book shows exactly how to carry out this time-limited therapy and what to do when problems arise. Special features include annotated session transcripts and answers to frequently asked questions.